Take a Network Break! 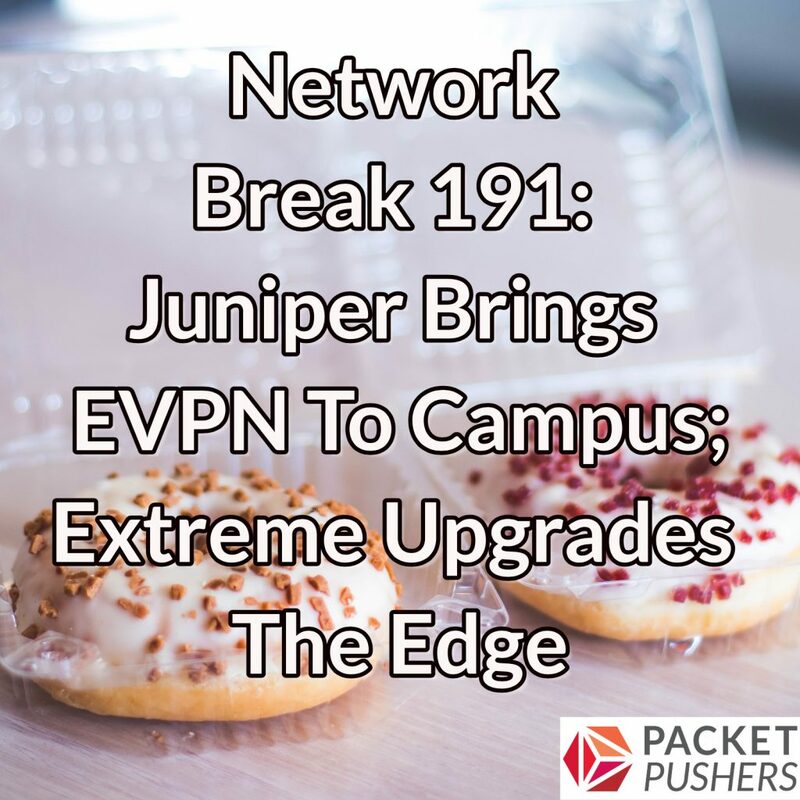 Juniper Networks announces a new campus switch that supports EVPN and VXLAN for a campus fabric, Extreme Networks announces new products for the network edge, and the IEEE gives its blessing to a fog computing reference architecture. Dell and VMware posted big HCI gains in revenue and market share, new laptops will be delayed as Intel works out CPU issues, and Silver Peak pulls in $90 million in new investment. AT&T confirms its acquisition of digital ad exchange AppNexus, and the uptick in rocket launches is affecting commercial airline traffic. Couchdrop provides Secure Copy Protocol,or SCP and Rsync to Dropbox, Box and other cloud storage providers. Find out more at Couchdrop.io.